* Coaches - No additional charge or memberships are required for coaching passes or credentials. 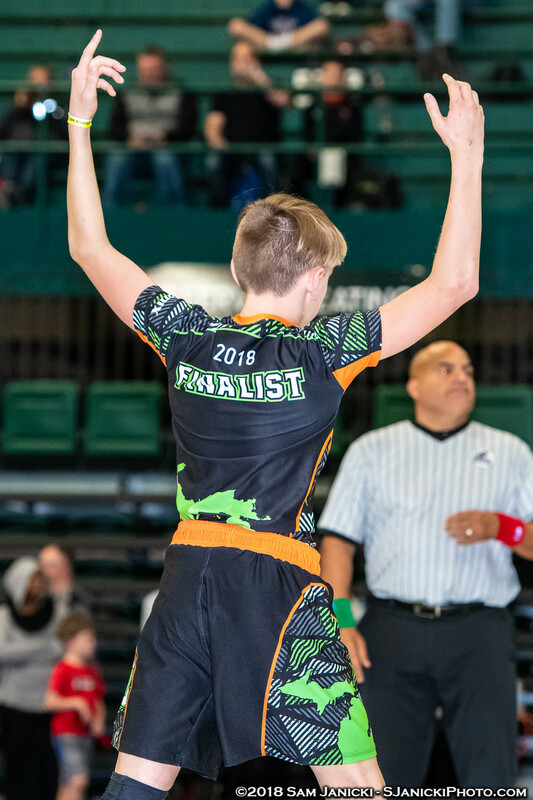 The GFC started in 2010 and has evolved into one of the premiere pre-season national events for High School, Middle School, and Elementary wrestlers. More mats to help the tournament run quicker and keep it to a premiere ONE DAY tournament to keep costs down. 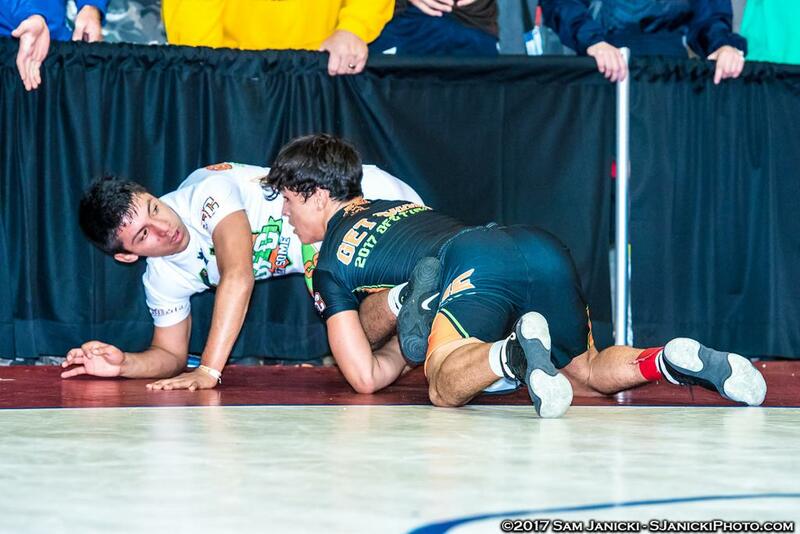 2017 saw one of the best finals matchups in GFC history as Top 5 nationally ranked seniors Joey Silva (FL) and Anthony Madrial (IL) went at it! Silva is headed to University of MIchigan while Madrigal will be at University of Oklahoma next year. Current Penn State NCAA Champ Mark Hall (MN) had one of the most epic GFC runs in history in 2013 when he knocked off future NCAA All-American Alex Marinelli (OH) in the semifinals and 5x FL State Champ Fox Baldwin in the finals at 171lbs. Why Wrestle at the GFC? The Grappler Fall Classic is a high-school preseason event featuring College-Style rules, including riding time and extended out-of-bounds rules that are used at the College Level. Don't miss your chance to take on the best that the Midwest has to offer and gain national exposure with College Coaches in attendance and a massive amount Video Coverage to be featured on the Associated Wrestling Press you are sure to be seen and noticed when wrestling at the GFC! In order to assist you in the college recruiting process and get your name out to Colleges nationwide, Michigan Grappler will forward your recruiting information for all wrestlers who compete in the Grappler Fall Classic and send it directly to all NCAA Division 1 college coaches in the country! So not only will you show them what your made of by competing in the Grappler Fall Classic, but we will reinforce that by sending your information to every coach's fingertips. East Lansing, Michigan is centrally located in right in the center of the Midwest - the heartland of Amateur Wrestling! The GFC is conveniently located a easy driving distance from wrestling hotbeds of Ohio, Indiana, Illinois, Pennsylvania and more! Some of the best wrestlers in the country reside in the midwest, and with the GFC they can do battle right here, in the midwest! Are you up to the Challenge? MichiganGrappler.com cordially invites the baddest and best wrestlers from across the country to make a trip to the great state of MICHIGAN this fall to put their talents on display at the 8th Annual Grappler Fall Classic, presented by Wrestling Addix. Wrestling is becoming a year-round lifestyle as opposed to a Winter season sport and Preseason wrestling has become a staple for those looking to compete at the next level. The Grappler Fall Classic provides an environment to compete during this essential preseason time right here in the Midwest, the heartland of high school wrestling! college coaches on hand, LIVE VIDEO COVERAGE, and a fast track to national exposure for those who come to the GFC and #GETSOME! This year's event will once again invite the roughest and toughest Elementary and Middle School grapplers to compete alongside the high school studs. For the 6th straight year we will be holding the GFC in Battle Creek, Michigan at Kellogg Arena, the mecca of wrestling in Michigan and the former historic home of the MHSAA Team State Finals. Full Results and Archived Video available here. Wrestling Addix is the Title Sponsor of the GFC and the official GFC merchandise and apparel provider! Visit Wrestling Addix for all your custom team gear and merchandise needs!